his year, the University of Hawaiʻi will kick off a program for students to earn associate in arts (AA) degrees through short, online classes. This new program provides more flexibility for residents to reach the goal of earning a degree while working and raising their families. The program will roll out in phases over the next two years for select degrees. These online courses are accelerated, only five weeks per course. The first cohort of students will begin in August 2019 for an AA degree. Students in the AA degree program will take classes from the seven UH community colleges. Students completing the program will earn an AA from Leeward Community College in December 2021 and may continue onto a bachelor’s degree. 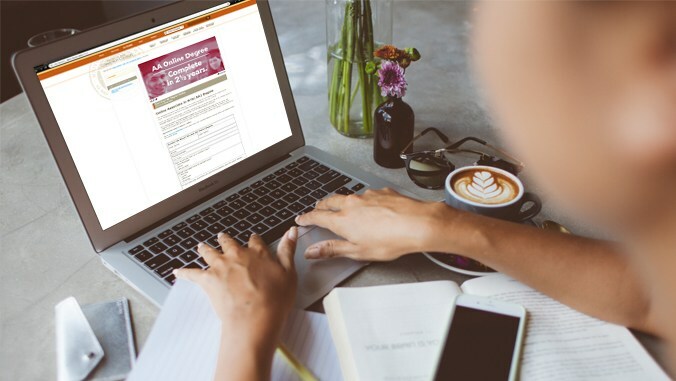 Online bachelors degrees, with classes in the 5-week format, will be offered by UH campuses for select programs beginning fall 2020. The program begins with pilot courses in the accelerated AA degrees in fall 2019 from UH Community Colleges; applications open March 1. It was made possible by the state Legislature and Governor David Ige who funded 10 new positions at the university, four with the community colleges and six at the system level, along with close to a half million dollars to start the program.